Cats are normally solitary creatures, so it is best to take things slowly when introducing two cats to each other. Rather than throwing them together right away, keep the new cat (henceforth known as Patches) in a separate room with their own food, water, litterbox, and toys. This will give her time to settle into their new environment without encroaching on Fluffy’s territory. Analog pheromone diffusers are a great idea to help keep both cats calm. 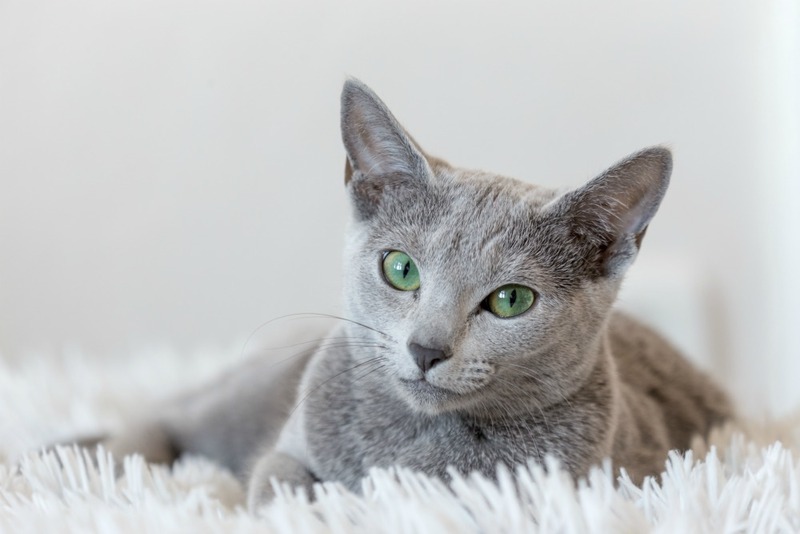 After a couple of days, provide Fluffy and Patches with a blanket or cloth that has the other cat’s scent to allow them to get used to smelling the other cat in the common living space. Slowly let Patches out into the house to explore while Fluffy is contained in another room-this allows exploration without having another cat intruding on her personal space. Alternate which cat is out in the common living area, so they both get used to smelling each other in shared areas. Once both cats seem comfortable, let both of them have full access to the living space. By this time, they should be more accustomed to each other. Keep in mind this doesn’t mean they will be fast friends—this may come with time, or it may not happen at all. As with people, they may just not like each other and tolerance might be the best-case scenario. Ultimately, if they don’t get along and are always fighting, having a multi-cat home may not be in the cards. Remember to have patience as this is a process and can take as little as a few days to weeks. Regardless of whether you end up with many cats or a single cat, remember the most important thing is they are happy and healthy!